Rowdy DJ and Party Animal Rusko has reiterated his disdain for EDM counterpart Deadmau5 in a recent interview with DJ Mag. According to In The Mix, the issue dates back to 2010 over an incident where Deadmau5, real name Joel Zimmerman, took offense to Rusko, real name Christopher Mercer, smoking a joint backstage. Rusko and Deadmau5 definitely have opposing views when it comes to the matter of ‘illicit’ substances. During an interview with Q Uncut, Deadmau5, who earlier this year publicly berated Madonna for an apparent reference to MDMA, expressed concern for fans who induce drugs at his shows. “I’m wearing this mouse head and I’m watching kids get carried out my paramedics over the front rail while I’m playing. Sometimes I just want to stop the show. It’s not cool to me. It upsets me,”Deadmau5 said. In contrast, Rusko actively engages his audience via a shared appreciation for pills, weed, alcohol and other conscious-altering drugs. “I always make sure that everyone’s been getting fucked before I get on the stage… I get a little show of hands for who’s been taking pills, who’s been doing MDMA, who’s been smoking weed. I let them know what I’ve been doing too. 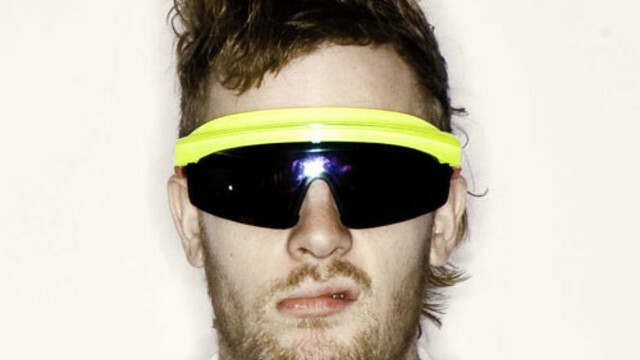 Always on the level,” Rusko explains.